Horseradish (Armoracia rusticana) is a perennial plant native to Eastern Europe, now abundant in other parts of Europe and the U.S.
A member of the family that includes cabbage, broccoli, mustard and wasabi, horseradish is cultivated for its intensely flavored, spicy root. 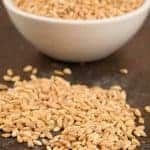 Special Note: If you’re interested in learning about the differences between horseradish and authentic wasabi, check out this in-depth article on Foodal.com: What Is The Difference Between Horseradish and Wasabi? Used in a variety of sauces and condiments, horseradish is most commonly known for flavoring cocktail sauce for seafood and the classic Bloody Mary cocktail. It’s also an especially popular condiment for roast beef and in Jewish cuisine, horseradish is combined with red beets to make a sauce called chrain to serve with gefilte fish. A number of Eastern European cuisines use horseradish to flavor soups and stews as well. 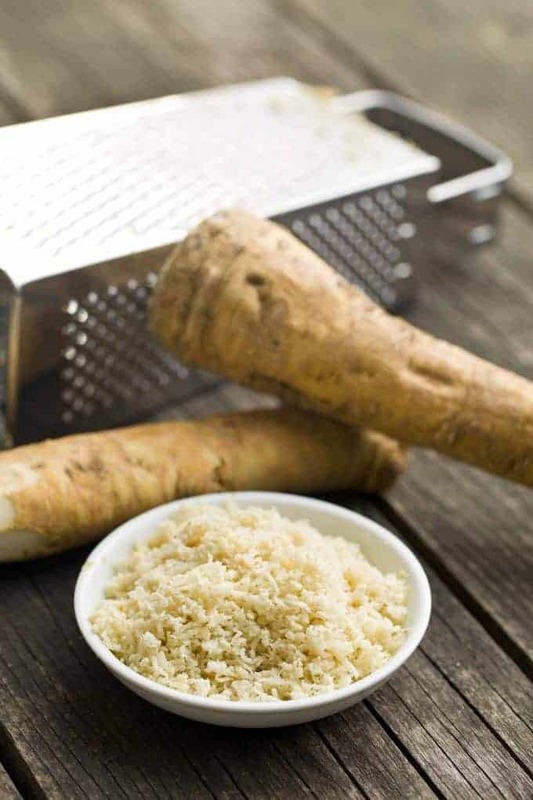 We think horseradish makes a fabulous flavoring ingredient and here’s a list of our recipes that use it as a key flavoring element. Generally we recommend purchasing prepared horseradish from the refrigerated section of the supermarket as it’s somewhat tamer than fresh grated and has a longer shelf life. Try to choose a brand with a short ingredient list – just horseradish, vinegar and salt. Avoid the creamed preparations as it’s easy enough to mix your own as needed. Fresh horseradish has practically no smell when left whole, but as soon as it is grated, it releases a pungent, spicy aroma. Because grated horseradish will lose flavor and turn brown once exposed to air, vinegar is added to preserve its flavor and refrigeration is the best method of storage. If you choose to grate your own horseradish, be cautious in handling it. Use gloves, and once grated, stand back a bit because the fumes can cause your eyes to sting and water. To prepare, wash and peel off the outer layer, then grate the root on the fine holes of a flat grater or, if you prefer, use a food processor. 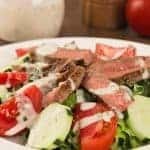 Add 3 tablespoons white vinegar and 1/2 teaspoon salt to every cup of grated horseradish to preserve the flavor and color. 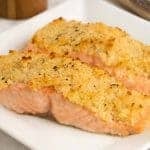 You’ll want to add the vinegar immediately after grating unless you like your horseradish super-hot, in which case you’ll want to wait 2 or 3 minutes to allow the enzymatic action triggered by grating to develop extra heat. Store in a glass jar in the refrigerator for up to 3 weeks.